United Nations peacekeepers must be constantly equipped with more and better tools and skills so they could fully meet their mandates in increasingly risky environments, Hervé Ladsous, Under-Secretary-General for Peacekeeping Operations, said at Headquarters today. 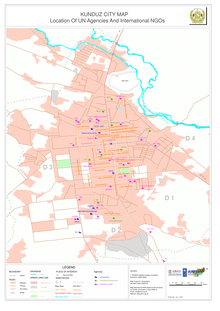 In 2011, over two dozen United Nations peacekeeping and special political missions worked to provide security and stability, facilitate political processes, protect civilians, help refugees return, support elections, demobilize and reintegrate former combatants, and promote human rights and the rule of law. New York, 22 November 2011 - Sunday, 20 November marked Universal Children’s Day, a day to remember the children growing up in wars throughout the world, and to reaffirm our commitment to stand up for their rights and to take firm action. In 2003 the Criminal Law and Judicial Advisory Service was created within DPKO to promote rule of law by addressing both judicial and penal systems in UN peace operations. This Update is about the work of this Service and of Justice Components working in peace operations around the world. The Department of Peacekeeping Operations has deployed over 120,000 blue helmets to 15 Peacekeeping Missions all over the world. Each and every one of those blue helmets has a unique story to tell about working with children in conflict situations. Protecting those who are most vulnerable in conflict is one of the crucial duties the Security Council has entrusted to United Nations Peacekeeping Operations. 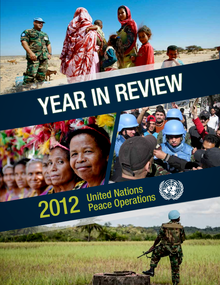 A year of complex challenges for UN peace operations 2010 was in many ways a watershed one for UN peace operations. Despite very difficult circumstances, including the loss of many personnel, United Nations peacekeeping had passed critical tests in tackling “make-or-break” situations in Côte d’Ivoire, Haiti and Sudan, Secretariat officials said at Headquarters today. Au cours des deux dernières semaines, 44 membres du personnel des Nations Unies ont trouvé la mort dans l’exercice de leurs fonctions sur le terrain. Vingt-six de ces employés de l’ONU décédés travaillaient pour le Département des opérations de maintien de la paix (DOMP), a déploré ce matin, le Secrétaire général adjoint aux opérations de maintien de la paix, M. Alain Le Roy au cours d’une conférence de presse tenue au Siège de l’Organisation. À cette occasion, M. Le Roy avait à ses cotés le Sous-Secrétaire général à l’appui aux missions, M. Anthony Banbury. New York, United Nations, 8 February 2011 - Greater action is needed by United Nations peacekeeping missions - working with local women, national authorities and UN Member States - to increase the limited participation of women in peace negotiations, national security institutions and governance in post-conflict situations, says a UN study launched today. New York, 19 November 2010 - Tomorrow, 20 November is Universal Children's Day, a day to celebrate youth and to demonstrate our universal belief that childhood is sacred for all girls and boys. In 2003 the Criminal Law and Judicial Advisory Service was created within DPKO to promote rule of law work, addressing both judicial and penal systems, in UN peace missions. This Update introduces the work of this Service and of Justice Components working in peace missions around the world. Introduction: New strategies to help peace operations meet today's demands The United Nations' response to conflict and political crises evolved in 2009, as once again UN peace operations were at the centre of global efforts to protect the vulnerable and nurture fragile peace all over the globe. 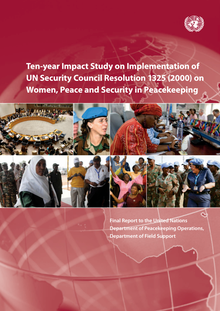 With its largest deployment ever on the ground, the Departments of Peacekeeping Operations and Field Support began a major reform effort to perfect the tool of UN peacekeeping as the Organization's flagship peace and security activity. A New Partnership Agenda: Charting a New Horizon for UN Peacekeeping is an internal "non-paper" prepared by the by the Department of Peacekeeping Operations (DPKO) and the Department of Field Support (DFS), which reflects the departments' analysis and outlines a number of crucial recommendations for the future of peacekeeping operations. The New Horizon non-paper has been circulated to Member States and partners and will form the basis of in-depth consultations in the coming months.